Majorca is a long-standing favourite destinations with Brits, due to its fantastic year-round sunny climate, golden coastline, party-loving towns and host of activities on offer. However, it also features a packed calendar of fun events from the beloved Carnival in February to grape-throwing at the Binissalem festival in late September. Majorca’s capital Palma honours its patron saint every January with processions, fireworks, street parties and concerts and is one of the sunny island’s most popular and colourful festivals. 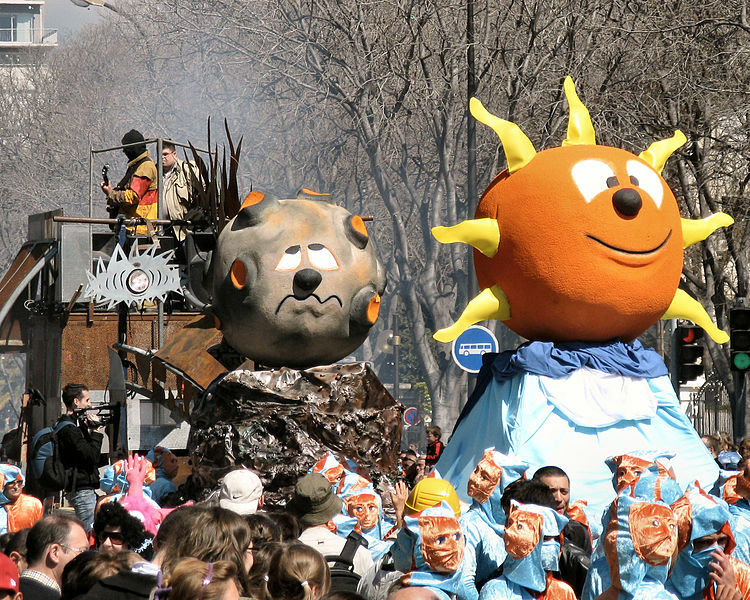 Like many other Catholic countries, Carnival is a big event in Palma (as well as across the island) – the last party before the onset of Lent. It all begins on ‘Fat Thursday’ when households use up all their indulgent ingredients and runs until the beginning of Lent, with parades, colourful costumes, parties and more. Mallorca Rocks is a major music festival that kicks off the summer party season in Majorca and sister festival to Ibiza Rocks. This year Californian rockers – and winners of BBC’s Sound of 2013 – Haim will be headlining the festival, following in the footsteps of the likes of Jake Bugg, Biffy Clyro and Ed Sheeran. The second week will see breakthrough indie-pop quartet The 1975 perform, after a string of sold-out shows in the UK. 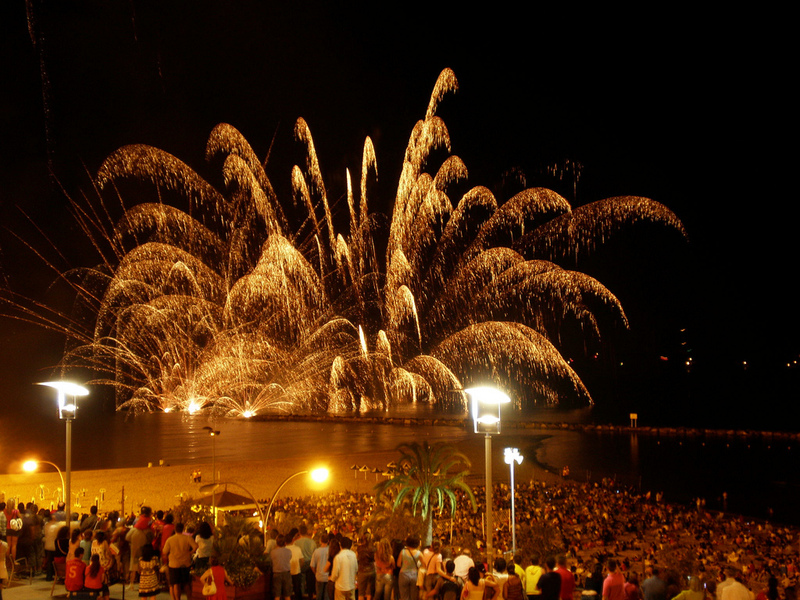 Nit de Foc (or ‘Night of Fire’) is one of Majorca’s longest-standing festivals and in 2014 takes place on the 23rd of June. The name kind of gives it away, the event features fireworks, bonfires and outdoor concerts. (Look out for the dressed up devils which run through the streets with firecrackers!). Its exact origins are unknown although it is believed to be descended from a pagan festival in honour of the solstice. One of the island’s quirkier festivals, the Fiesta of Black Pudding (or Torrada d’es Borifarro) celebrates all things, well you’ve guessed it, black pudding! Held in Saint Joan every October, Butifarrones, slices of pork and sobrassada are roasted on BBQs to delight of residents and sausage-loving visitors. Of course, we can’t forget the Christmas markets that take place in December. It may not be one of the traditional Christmas shopping destinations, but if you’re making the most of a bargain holiday to Majorca in order to get a dose of winter sun, then it’s a great way to tie in doing some Christmas shopping. The bigger markets are set up in the capital Palma and sell handicrafts and other Christmas gifts.